The Perfect Games Martin Luther King Tournament is a competitive showcase event held in Phoenix, Arizona from Jan. 18 – 21. For this event we will be entering an Underclass (2020 Grad or younger) and Upperclass team (2019 Grad or younger) into the tournament as the Milwaukee Brewers Scout Team- Canada. The event is taking place at the Dodgers and White Sox Spring Training home, Camelback Ranch. 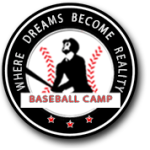 This BLE event will include on-field workouts and intrasquad/exhibition games over two days (Jan 16/17), in preparation of the tournament, followed by the PG Event (Jan 18 – 21) with four games guaranteed – weather permitting. – Special Guest coach – Two time MLB All-Star, Shea Hillenbrand. *This event is invitation only, all players must be identified by BLE or Brewers Scouting staff and receive an invitation*. To ensure quality of tournament event and experience, registration for the BLE/Brewers Scout team for the Under/Upperclass PG MLK Event is limited; early player commitment is advised ! Option 1: Players are responsible for airfare, lodging, food and transportation to Team hotel for drop off and pick up. – Airfare is to be booked and paid for by each player. Coaches will travel early morning on January 16 with the first workout that night. Recommended flights should arrive in Phoenix on January 16th in the morning or afternoon. Coaches are flying home on Jan. 21st in the evening. Best Western Tolleson Hotel at 8421 W. McDowell Rd, Tolleson, Arizona. (15 minutes from Airport and 12 minutes from Dodger/White Sox complex). Option Two – $1150.00CDN + GST ($875US equivalent) – Includes lodging with roommates and breakfast (at Team hotel). – All ground transportation (in Phoenix area), Airport transportation has to be coordinated with coaches arrival and departure. *Option Two players will be supervised by BLE staff from moment of arrival in Phoenix area. Players are responsible for airfare and lunch/dinner (meals will be organized by BLE staff). Please note: Hotel reservations for players participating in Option Two will be handled by the BLE office.